Many tile cleaning products sold on the market today are designed for cleaning ceramic rather than stone surfaces, as a result they can slowly etch away at the sealed surface of your stone floor reducing the life of your sealer. 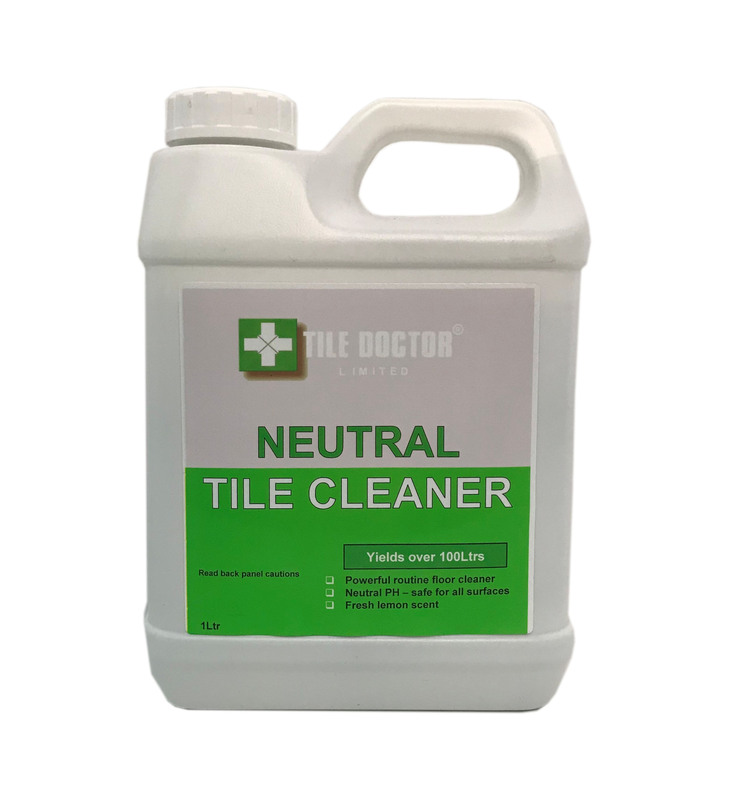 Tile Doctor concentrated Neutral Tile and Stone cleaner has been especially formulated for the regular cleaning of Sealed Stone and Tile surfaces keeping them fresh with a pleasant mint scent. It's PH neutral phosphate free formula ensures your sealed surface remains undamaged eliminating soap scum build up, hard water deposits and its super-concentrated so a one litre bottle yields over 100 litres. Use on glazed and unglazed ceramic tile, including Porcelain tile, Saltillo, Quarry tile, sealed Terracotta and adobe tile, natural stone and grout. Also recommended for use on any water safe surface including resilient tile and masonary. This cleaner is ideal for the frequent cleaning of sealed floors, its neutral PH formula will not degrade the sealer. Apply solution to area to be cleaned. Mop up dirty solution and rinse mop in a separate bucket of water. Change rinsing bucket water at least every 46² (250 sq ft) or as needed. When diluted 1 litre yields over 100 litres of cleaning solution, which will clean approximately 325² to 465² (3,500 to 5,000 sq. ft.). Available in 1 litre bottles at £12.00 each and 5 litre bottles at £45.00 each, Postage and Packing £5.50 for a one litre bottle, £10.00 for two or more litres (All prices are shown inclusive of VAT).